By the end of 1939, 19,149 children and young people who had left National Socialist Germany on their own without their parents had been able to emigrate to another European country, the USA, Canada, Australia or Palestine. * Most - about two-thirds - of these escapes were made possible by the involvement of Jewish aid organisations. 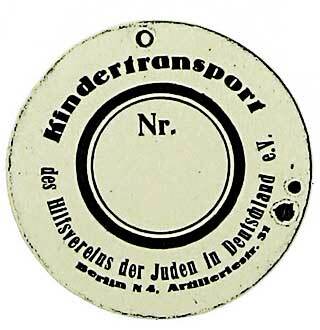 Over 10,000 children and young people were taken to Great Britain, organised by the so-called Kindertransports. Each child received a tie-on label with a personal number on it.